Kabul was rocked by twin suicide attacks on 5 September. Nine people were killed and 30 others wounded in the attack, Pahjwok Afghan News reported. The Taliban have claimed responsibility for the attack. 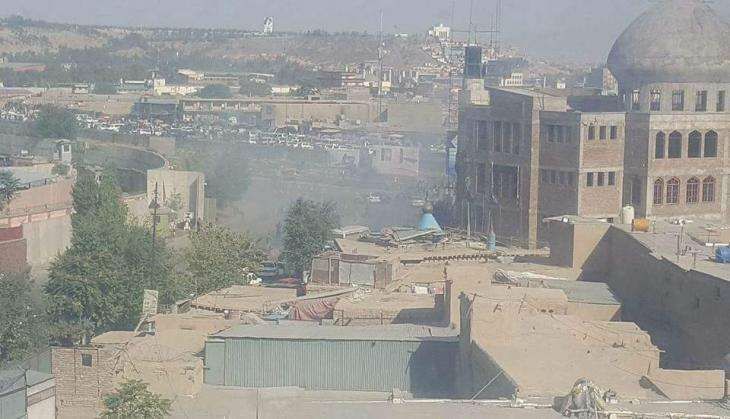 According to the report, high-ranked security officers among the nine killed in the attacks near the Ministry of Defence headquarters in the Afghan capital. According to reports, two sensitive spots near the Ministry of Defence were targeted. The area has been cordoned off and additional security teams have been sent to the area to bring the situation under control. A high alert has been issued in the Afghan capital. The attack comes after less than two weeks less after 13 people were killed in a suicide attack on the American University in Kabul. Jaguar trailer: Has Nikhil Gowda copied Salman Khan in this action flick?